I have myopia, which is posh for being short sighted: anything more than 250 mm from my nose is blurred. I also have astigmatism, which means that objects that I can see are sharper along one meridian than any other. I have worn spectacles since I was thirteen. The lenses those many years ago were made of glass, which didn’t scratch easily, but now they are usually made of plastic for lightness of weight and often have an anti-reflective coating. My optician recently remarked on how scratched the right hand lens was compared to the left and I immediately thought of the optical instruments I use. 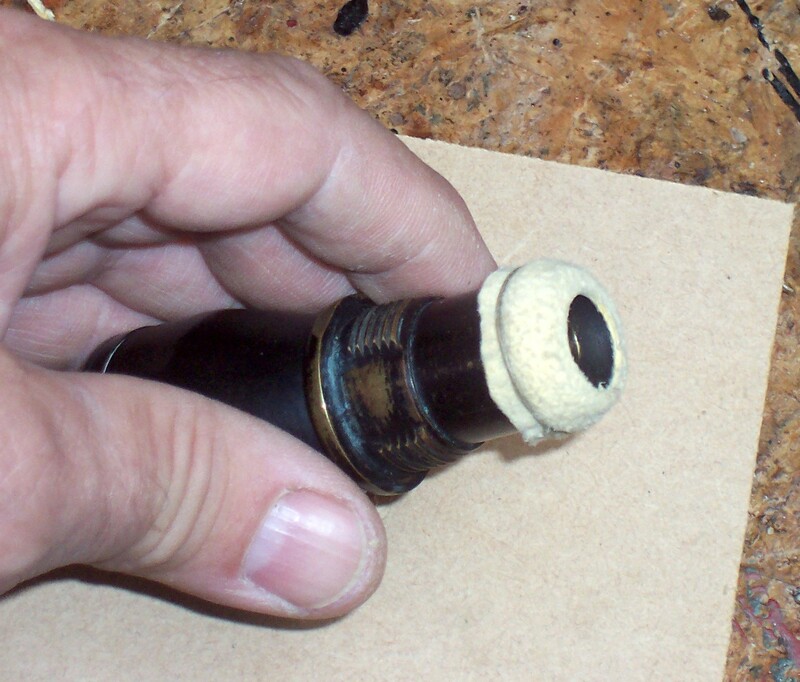 The modern ones have plastic or rubber eye cups, but not the vintage and antique sextants. Blackened brass was good enough for the old seafarers. When using a sextant, the myope has the option of removing his glasses, as the focussing arrangements can take care of his myopia, but that still leaves the astigmatism, which distorts and elongates images of stars. Facing page 37 of Peter Ifland’s wonderful book Taking the Stars (First edition, Malabar, Florida, 1998) is a photograph of a sextant adapted for use in freezing latifudes. The scope and magnifier eyepieces are covered with leather, to protect the skin from sticking to very cold metal surfaces. I have adapted the idea to protect my spectacle lenses. Here’s how to do it. 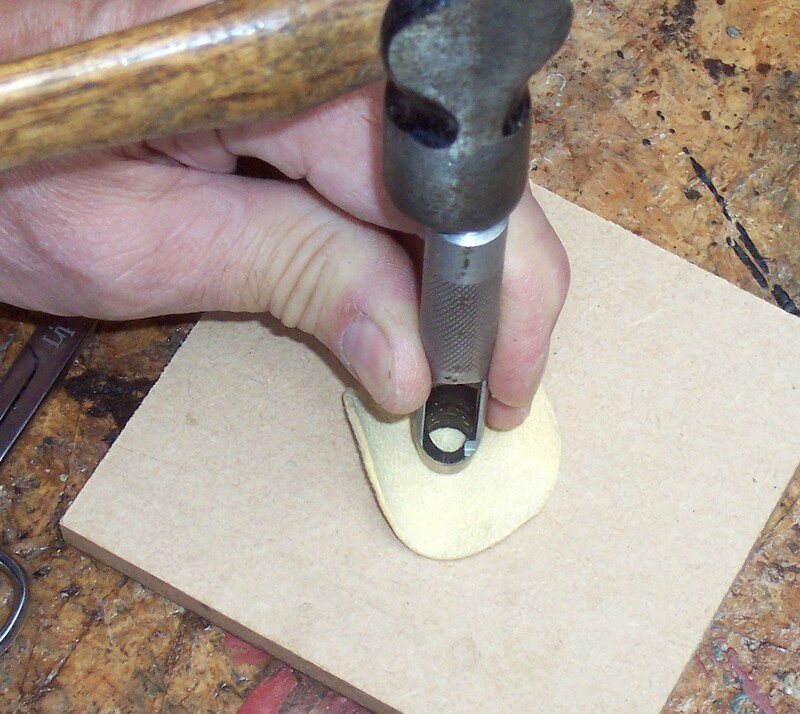 Cut out a circle of wash leather (“chamois leather”) about 50 mm in diameter and punch a hole about 8 mm in diameter at its centre. I used a punch, but nail scissors might just cope with the task. Then capture the disc over the end of the telescope eyepiece using a cable tie pulled just tight enough to allow you to centralise the hole. Stretching the leather also enlarges the hole and we need to do this with the Galilean or “star” scopes, as we have to move our heads around in order to see the full field of view, rather like looking into a room through a round window. My initial 8 mm holes stretched to 12 mm. If your sextant is modern, you might at this point be content simply to tighten the cable tie and trim the end, but for an older sextant I would aim for authenticity. Wax some button thread with beeswax, take a few turns around the eyepiece to anchor the leather, knot and finish by trimming the thread and leather. 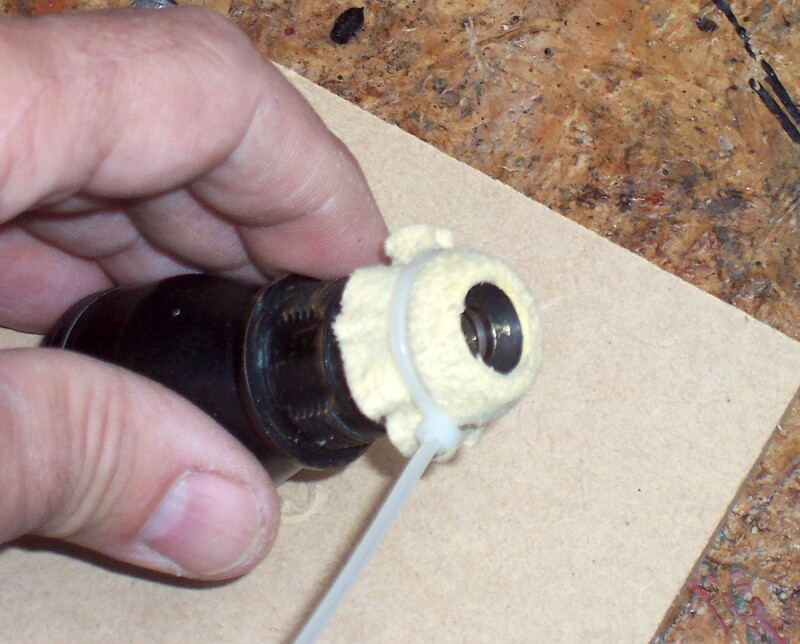 The beeswax, as well as protecting the thread, also helps the knot to hold while you’re tying it. The final result, on a Hughes and Son Galilean ‘scope from 1920, is shown below. Now I can steady the sextant against my glasses without fear of scratching them and have already applied the idea to the stereo microscope that I use to improve my seeing while restoring sextants and making clocks. It can also be adapted to binocular-type eyepieces, by unscrewing the eyecup and replacing it with the leather. Try it and experience the full field of view for the first time while wearing your spectacles. If you do remove the binocular eyecup though, protect the heads of the three little screws you will find underneath from corrosion, with a thin smear of waterproof marine grease.